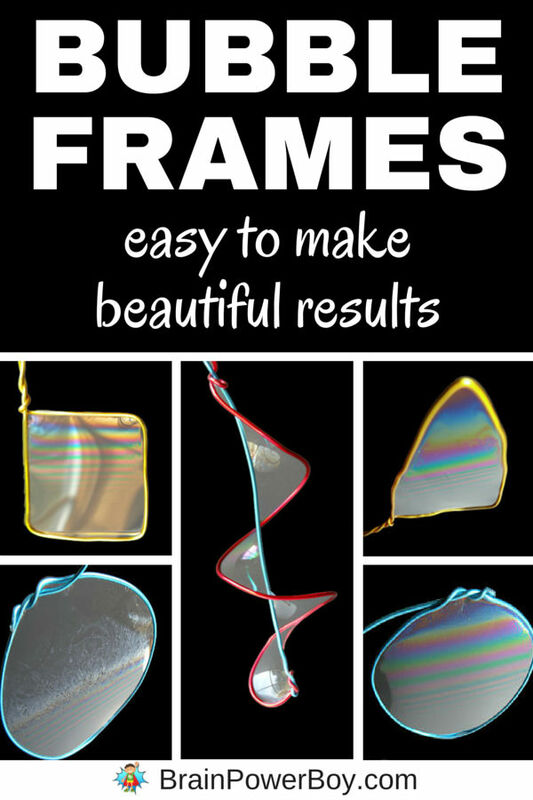 Make some Amazing Bubble Frames! Bubble frames are an amazing project. We have played with all sorts of bubbles over the years and I like to try new things so we made some different frames to dip into the bubble solution. Wow! The results were beautiful. I’ll give you some tips below for creating your own bubble frame and ideas for working with them. This is a great activity for boys and anyone else who enjoys bubbles. This article is part of a free unit study put together by a wonderful group of bloggers. 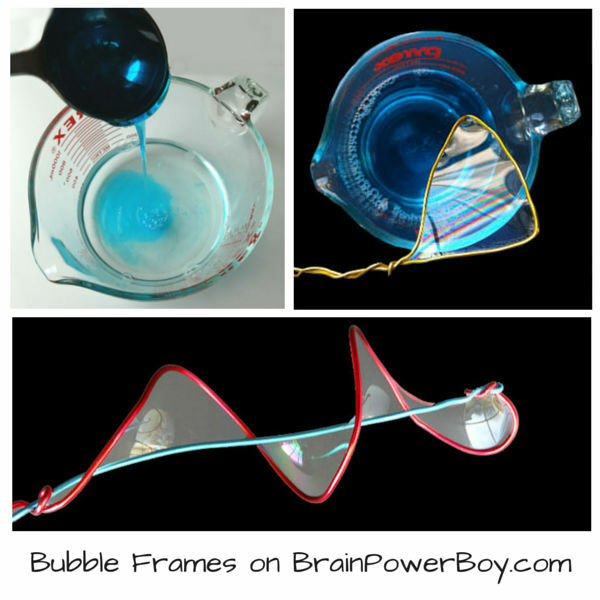 You only need two simple items to do this bubble activity. You can play around with the recipe a bit. I find the glycerin to be a nice addition to the solution but you can skip it. I think the bubbles stay in the frames and allow you to view them for a longer time if you do use it. Super simple. Just form the wire into different shapes. Twist the wire around to secure it so the shape will not come apart. For the spiral, you will want to swirl the spiral shape around the straight wire. Take a look at the photo to see what I mean. 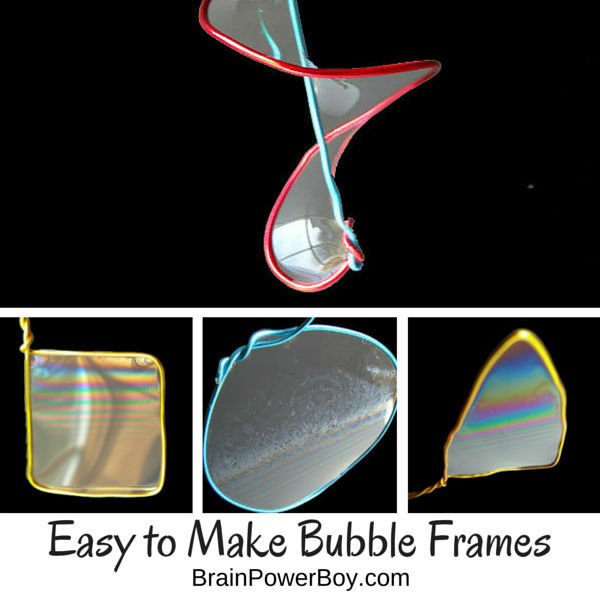 Here are a few things that we did to see how our bubble frames worked. We held them up to the sun to see the rainbow colors. We experimented to see if the shapes of the bubble frame would affect the shape of the bubble. We blew very gently on the bubble solution when it was in the frame. This is a very cool thing to try! When we did it the colors swirled around. You have to be careful and blow gently. We found that blowing from the top worked the best. Your kids will LOVE doing this! We wondered why the bubbles in certain frames formed a line of colors instead of the colors all being mixed up.